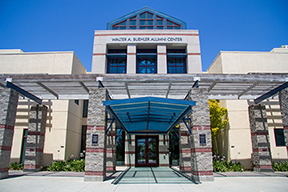 The nearest parking lot to the Walter A. Buehler Alumni Center (530 Alumni Lane, Davis, CA) is the Gateway Parking Structure and Lot 1 on Old Davis Road (Gateway District). Daily visitor parking permits cost $9 and can be purchased from the yellow permit dispensing machines located at the parking lot entrance. Acceptable methods of payment: credit card, check or UC account number. No purchase orders accepted and no invoices will be issued by our office. Payment must accompany registration form—no exceptions.